Food manufacturers, raise your hands if you’ve reformulated one of your applications within the last year. Is your hand raised? If so, you’re in the majority. According to a recent survey by Deloitte and the Consumer Goods Forum (CGF), 66% of companies reformulated one or more of their products in 2016, with 180,000 of those reformulations designed to support the growing trend towards healthier diets and lifestyles. As consumers continue to look for healthier choices, the pressure is on to meet their desires with the foods and beverages they’ve come to know and love. The last thing you want to do when reformulating one of your consumers’ favorite foods is to modify its the core flavor, texture, and mouthfeel. As soon as they take a bite, they’ll recognize a difference, and it’s typically not a positive one. Instead, focus on keeping the flavor and texture profile of the reformulation consistent with the original application, while improving product nutrition. One of the biggest trends we’ve seen in food and beverage industry over the past few years has been the transition from processed foods with trans-fats to more clean, nutritious offerings. Likewise, brands that put the consumer and the environment first with socially responsible, safe practices are also thriving. Incorporating natural, healthy, responsible ingredients into your product without compromising its flavor or quality will help lead to a successful reformulation. While additional shipping, handling, and storage needs can be afterthoughts when you’re trying to perfect the taste in a reformulated product, they’re very important to keep top of mind when pricing the end product. Remember that additional ingredients can increase costs and manufacturing requirements as you choose the right options for your reformulation. Product reformulation should always be done to match what your consumers are looking for. Likewise, how you let them know about the reformulation should also align with their preferences. If consumers are demanding a low-fat, low-calorie yogurt product, for example, you’ll want to strategize the public advertisement of this change. Do you want to share the improved formula through a big announcement? Or would it be best to subtly introduce formulation changes? Whatever you decide, make sure it’s in the best interest of your customers. If you want your reformulation to be successful, working with a partner can help eliminate many common challenges that could arise, while aligning with the best practices outlined above. 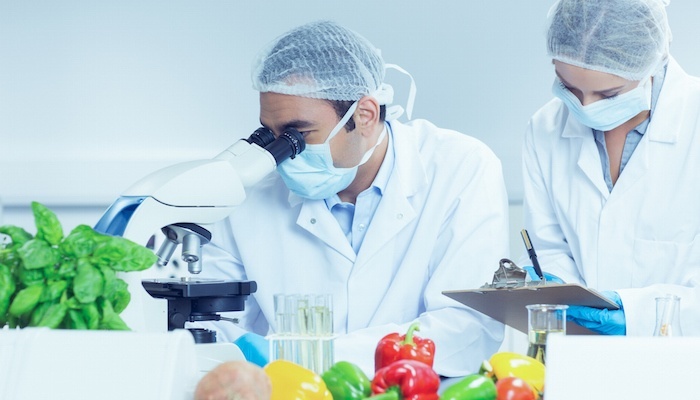 At Grande Custom Ingredients Group, our team of food scientists and application experts can help solve even your most complex formulation challenges. We have the knowledge, insights, and natural ingredients needed to address many challenges—from improving texture and nutrition to lowering ingredient costs. To learn more about why the vast majority of food manufacturers are reformulating their products today, download our free eBook below, Why Food and Beverage Manufacturers Are Reformulating.